Support our crowdfunding project on Startnext! Every artist has one, a wish-I’d-done-that creation that inspires envy and admiration in equal measure. Some of the world’s top artists’ eyes light up whenever they’re asked to name an artwork they saw early on in their careers that triggered their imaginations and got their hearts racing. Turns out, artists often go back and visit these first loves, to reencounter that painting, sculpture or ancient object that made a turning-point difference in their own creative careers. WSJ’s Kelly Crow and filmmaker Sarah Hanssen visited Peruvian-born artist Grimanesa Amoros who took us to visit her favorite artwork at the Metropolitan Museum of Art. 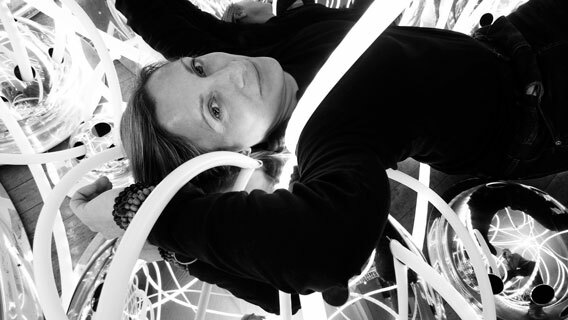 Best known for using light and resin to create installations that dangle and pulse, Ms. Amoros’s favorite artwork might surprise. Go with us as we check it out. Amorós’s most recent work “Surveillance” will soon be on display at the MACRO Museum in Rome in January and will the travel to the MACBA Argentina in May. With a recent feature in her work in the New York Times T magazine Amorós is an artist to watch and one whose career is poised for a spectacular breakout. Our latest New Yorker of the Moment is Grimanesa Amoros who recently connected with us here at AANY for a short interview. The Peruvian-born interdisciplinary artist is known for her other-wordly art installations, often focused on personal identity and the interplay between humans and their environments. Eternally prolific, she was just in Rio de Janeiro for a TEDGlobal conference in which she was a featured speaker. 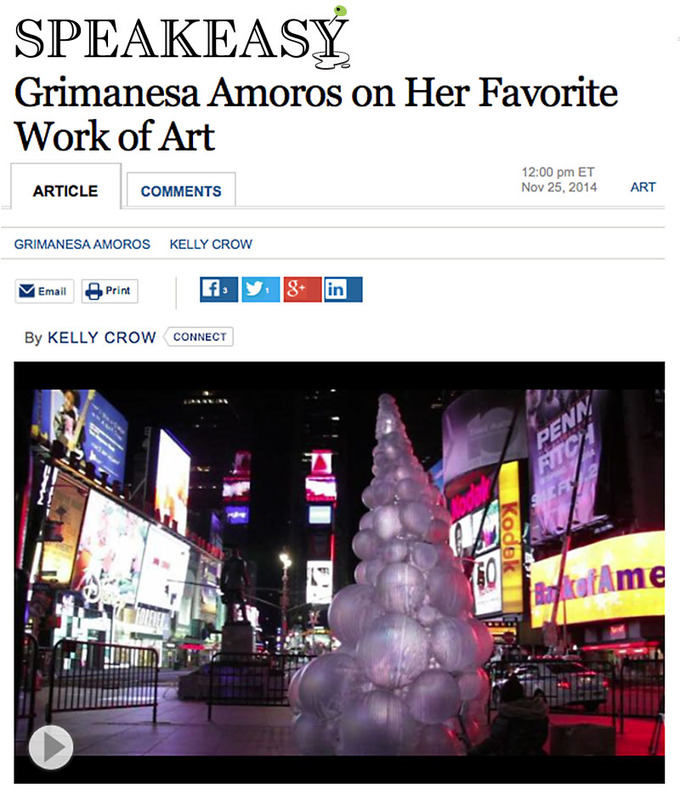 Amoros’s previous public art installations have been featured everywhere from Tribeca to Harlem and even Times Square making her an integral part of the city’s canvas. So we at AANY were thrilled to be able to ask her a few questions and it is with pride that we present that short exchange below. How long have you lived in NYC? 30 years. What is your favorite thing about the city? It is forever changing. What is your least favorite thing about NYC? Rats! Where would you be if you weren’t here? Eating gelatos, in the south of Italy. What are you doing right now that you are passionate about? Researching and developing new work.